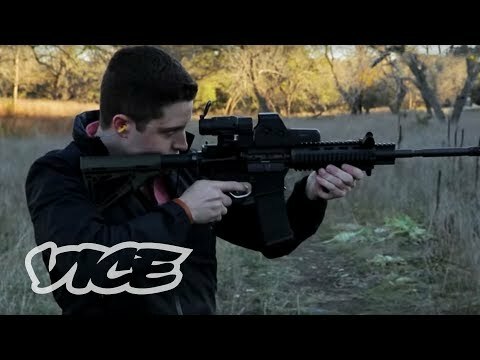 Cody R Wilson is a 25-year-old university law student who has managed to work out how to print semi-automatic weapons using 3D printing technology from the comfort of his own home. Now he’s putting all the information online so that others will join him. This is a story about the rapid evolution of a technology that has forced the American legal system to play catch up. This makes Wilson a highly controversial figure on both sides of the gun control issue. Motherboard sat down with Cody in Austin, Texas to talk about the constitution, the legal system, and to watch him make and test-fire a 3D-printed gun. In this film we get to see the CAD file for his lower receiver on his computer, while a five-foot American flag hung in his bedroom as a self-described ironic statement. Wilson is a knowledgeable guy, and spoke at length about the development of Defense Distributed’s lower receiver, telling Motherboard that failure was a part of the scientific process. Go on a mind-bending investigation as this film takes us to the most bizarre corners of cosmological science, black hole research. Bloody Americans with their misguided views that somehow guns are part of their national identity. Regardless of whether the world is still not a safe place and we are not in a final stages of political stability and conflict resolution, mass producing weapons whose design is that primarily of killing another human being is not the answer to solving issues and only makes the problem worse. This guy is just a wannabe anarchist looking to make a name for himself with his controversial tech. Without guns there wouldn’t have been what is called the United States. So, your criticism is misguided and misplaced it seems. Learn the lessons from history. Those who fail to learn from history are condemned to repeat it.